Another great single cask bottling from Benriach. This one has been finished in a solitary Tawny Port cask which has added some delicious notes of roasted nuts, chocolate, coconut and raisins. 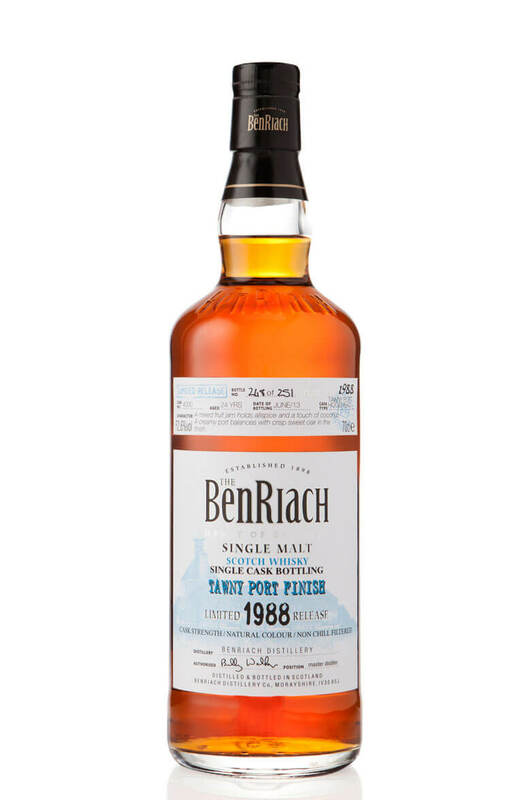 This is part of Benriach's 10th release of single cask malts and is bottled at natural cask strength. Types of Barrel used for Aging Finished in Tawny Port barrels and most likely initially matured in ex-Bourbon casks (although not specified). Any Additional Information of Note Just 251 bottles released. Un-chilfiltered.